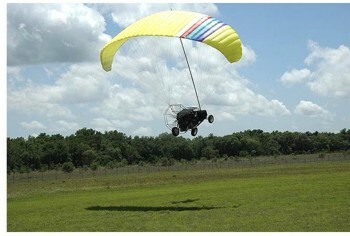 Not many people have gotten to fly the ITEC Maverick, the flying car candidate that has arrived on the market. We interviewed Roy Beisswenger, publisher of Powered Sport Flying magazine, an expert powered parachute pilot, about his experience at going aloft in Maverick. His perspective is special and he tells us how the vehicle drives and more about how it flies and how these experiences are different from a conventional powered parachute. 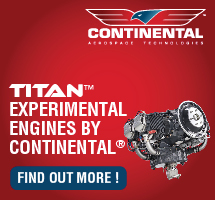 One of the most unusual Light-Sport Aircraft in the fleet is also the most powerful, with its new 190-hp engine. 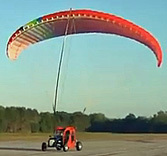 ITEC's Maverick is both powered parachute and up to a four-seater car. More than just a sedan, Maverick is a hot rod that can truly dash around on the ground. Hear from factory representatives to hear what has changed and how novel this machine appears to be. The Maverick is... well, a maverick among Light-Sport Aircraft. 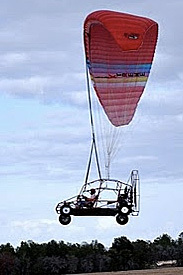 This unique flying car is one of the most unusual entries in a chock-full LSA field yet it stands out in numerous ways. And, amazingly, I-Tec's Maverick has already won Special Light-Sport Aircraft approval. It also leaped ahead of competitors by qualifying as a "kit car," which means it does not need to meet Federal Motor Vehicle Standards. It's so different you'll want to visit their website after you view the video. The Maverick is… well, a maverick among Light-Sport Aircraft. 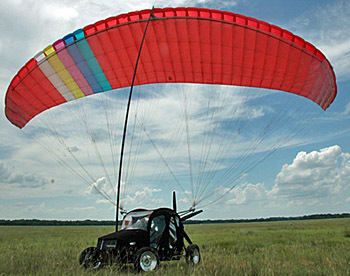 This unique flying car is one of the most unusual entries in a chock-full LSA field yet it stands out in numerous ways. And, amazingly, I-Tec’s Maverick has already won Special Light-Sport Aircraft approval. It also leaped ahead of competitors by qualifying as a “kit car,” which means it does not need to meet Federal Motor Vehicle Standards. It’s so different you’ll want to visit their website after you view the video. 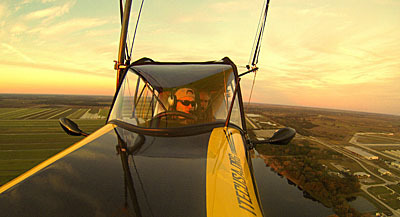 The dark horse, literally, to claim the Flying Car throne is the all-black I-Tec LSA-certified Maverick Sport. *** We've talked about it here a lot, and now the "airable" dune buggy seems to really be catching on with the public. *** I-Tec turned the flying car concept design on its head by designing a lightweight off-road car first: the ability to fly it was always the 2nd priority in the design phase. *** The result is a lightweight, off-road-sturdy, flying car that will — and this is straight from I-Tec's Steve Saint -- accelerate from 0-60 mph in 3.9 seconds. *** Holy flying Jaguar XKE, Batman! *** To prove it's road chops, Steve and the I-Tec crew drove it 1,500 miles to Oshkosh last summer with the paraglider-like wing tucked into its roof pouch. *** In a preview of the 18-hour days they would face while swamped by a fascinated public at Airventure, the crew never made a fuel stop en route that took less than an hour -- everybody had to know everything about the Maverick. 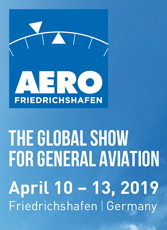 *** Production, which can now go forward since Maverick has gained SLSA status, is scheduled to begin by AirVenture 2011. There would seem to be no shortage of orders to address the cost of tooling up, either... manna from heaven that most LSA manufacturers wish would come their way. *** Now, EAA announces that its video, put together by Brady Lane from footage partially shot by I-Tec during its trek from Florida, has received more than 1 million hits! *** You can see the video and several more on the Maverick video page. Interested readers can see more photos. *** And you can view a CNN video. Yep, even the MSM (Main Stream Media) is in on the action. *** Is there a lesson here for airplane companies? I-Tec has proven that money spent innovating rather than big-splash marketing can payoff in a more reasonable cost ($89,000 for the Maverick), and people will still beat a path to your door. 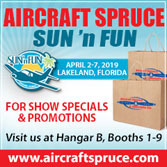 *** I'm hoping to fly it next month around the Sebring LSA Expo. *** Here are a few more details: *** speed 0-60 mph in 3.9 seconds (just had to say that again)top speed above 95 mph (they haven't driven it any faster but it's got plenty muscle left) the 27 foot high structural mast keeps the ram air wing off the ground and helps with crosswindsmast also good for multiple takeoffs and landingsDual Drive System with one engine and two drive systems is patentedprop drive will also be ideal for water (on pontoons, like a swamp boat) and ice/snow (skis? )in-flight operations in the 40 mph rangeMiles per gallon: 25-30 highway. And it burns car gas, not $5/gal avgas.landings and takeoffs in football field length...with enough altitude to clear the goal posts!created to support I-Tec's mission to help people in roadless remote and jungle habitats, where raw survival can literally depend on the ability to fly.FAA classifies Maverick as a Powered Parachute Itec has tested early prototypes in African and South American frontiersSteve Saint likes to tell the oglers, "If you can drive a car with an automatic transmission, you can fly this." *** Of course, it requires full Sport Pilot training, but I'm eager to see just how easy it is to fly — and drive. *** The company may subcontract the commercial side of Maverick production. *** "We hope to get the cost down," says Steve, "to better serve the humanity missions market: that's our primary goal." The dark horse, literally, to claim the Flying Car throne is the all-black I-Tec LSA-certified Maverick Sport. *** We’ve talked about it here a lot, and now the “airable” dune buggy seems to really be catching on with the public. *** I-Tec turned the flying car concept design on its head by designing a lightweight off-road car first: the ability to fly it was always the 2nd priority in the design phase. *** The result is a lightweight, off-road-sturdy, flying car that will — and this is straight from I-Tec’s Steve Saint — accelerate from 0-60 mph in 3.9 seconds. *** Holy flying Jaguar XKE, Batman! *** To prove it’s road chops, Steve and the I-Tec crew drove it 1,500 miles to Oshkosh last summer with the paraglider-like wing tucked into its roof pouch. *** In a preview of the 18-hour days they would face while swamped by a fascinated public at Airventure, the crew never made a fuel stop en route that took less than an hour — everybody had to know everything about the Maverick. Maverick's carbon fiber wing mast system is a key design element in remote areas with very small landing areas. Flying appears as conventionally as other powered parachutes and you have an especially sturdy carriage underneath. Cruising down the highway, Maverick is a "kit car" with its wing stored on a zippered container on the vehicle's roof. This fabric survived the 1,400 mile trip to Oshkosh still looking brand new. At home ripping up a sand dune, Maverick is very ground capable. Check I-tec's video. Maverick uses the same controls to drive or fly. 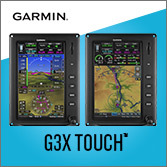 Note the Garmin aera main fly & drive instrument at center panel. Terrafugia has been getting tons of press and no wonder. The MIT brain trust developing the Transition is breaking new ground in numerous ways. While we await their sophisticated "roadable airplane," a simpler flying car concept won its SLSA approval on September 28, 2010. Entering the SLSA List at #110... welcome I-tec Maverick. Like Transition, this is one clever critter. *** Unlike Transition, Maverick does not need to meet federal motor vehicle standards. It's classified as a kit car and is thereby exempt from those onerous requirements. Though I-tec Design Manager Troy Townsend drove it 1,400 miles from central Florida to Oshkosh, Maverick was created to be more of an off-road vehicle. Company videos appear to show Maverick is well suited to this role (plus they're well edited and fun to watch). 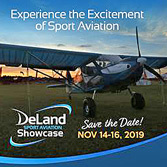 *** "The Orlando office of the FAA issued an historic Special Light Sport Aircraft airworthiness certificate to I-tec," stated the company. Troy clarified saying this was "the first-ever certificate issued for a vehicle that drives and flies." 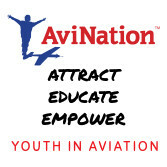 *** Maverick is the culmination of six years of R&D by I-tec — the Indigenous Peoples' Technology and Education Center — a Christian non-profit humanitarian organization based in Dunnellon, Florida. I-tec is lead by Steve Saint who spent his youth in the frontier regions of Ecuador. He identified many of the primary requirements for what he calls a "frontier vehicle." 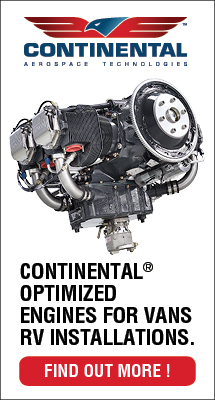 It must be rugged, and be easy to service in remote areas; use widely available automotive fuel; and be able to fly over terrain when the roads fail. Maverick fits the bill. *** Maverick's patented "Dual Drive System," with "Integrated Controls" — meaning it drives and flies using the same steering wheel and gas pedal. Powered by a 128-hp engine, the 900-pound Maverick can reach 80 mph on pavement. *** For pilots, the "Wing Deployment System" makes Maverick distinct. A carbon fiber mast telescopes up (see photo) and by crossing the mast with a span bow at the leading edge, Maverick can maintain its parachute aloft after landing. This permits the flying dune buggy to land in a tiny space with rough terrain that would not allow conventional lay out of a parachute canopy. *** The project aimed to fill a need for frontier transportation. The organization didn't set out to become a manufacturer. So I-tec is entertaining the possibility of licensing production to an outside entity in order to concentrate on its "engineering ministry" focused on health care for people beyond the reach of medical services. *** Priced at $84,000, a few early buyers can qualify for $79,000. Terrafugia has been getting tons of press and no wonder. The MIT brain trust developing the Transition is breaking new ground in numerous ways. While we await their sophisticated “roadable airplane,” a simpler flying car concept won its SLSA approval on September 28, 2010. Entering the SLSA List at #110… welcome I-tec Maverick. Like Transition, this is one clever critter. *** Unlike Transition, Maverick does not need to meet federal motor vehicle standards. 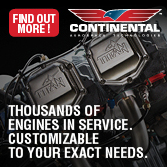 It’s classified as a kit car and is thereby exempt from those onerous requirements. Though I-tec Design Manager Troy Townsend drove it 1,400 miles from central Florida to Oshkosh, Maverick was created to be more of an off-road vehicle. Company videos appear to show Maverick is well suited to this role (plus they’re well edited and fun to watch). 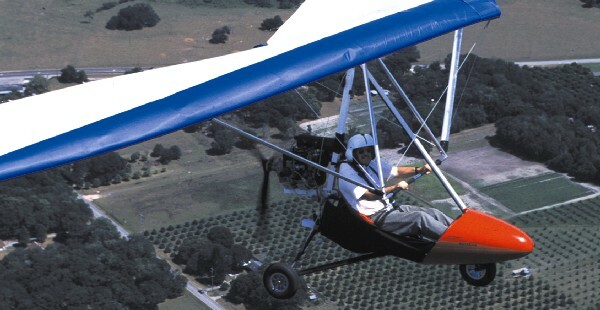 *** “The Orlando office of the FAA issued an historic Special Light Sport Aircraft airworthiness certificate to I-tec,” stated the company. Oshkosh has been deluged with a record downpour the last few days, which complicated arrivals because of the soggified grass fields...where most of the planes park and campers do their camping thing. *** Many airplanes were turned away over the weekend but nothing deters the Airventure show, which must go on. *** Several things already buzz, then out to the field for me to discover more and get things rolling (I got here late last night from the wonderful DC-3 Fly-In 4 hours south of here - half of the flying DC-3s in America, 35 total, turned up to be admired by thousands of visitors - a wonderful show.) 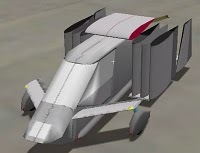 *** Back to Oshkosh and LSA-centric events: *** <> If two flying cars aren't enough - the Terrafugia Transition and I-TEC Maverick I've reported on in the past- here's another one: the Caravella. It's an intriguing work in progress and they're exhibiting at the show. *** <> Oshkosh never fails to deliver sheer wonderment but here's one for the books: a rocket-powered helicopter (terms you don't expect to hear together!). Read about it here, but the short tell is hydrogen peroxide powers rotor-tip jets to get things going. Endurance claim is 1.5 hours! Can you say LSA green helicopter in one breath? This amazing project deserves a closer look. 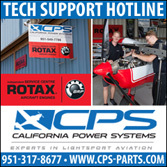 *** <> Sonex Aircraft, which is working on its own electric-powered project, introduced the Onex, a single-seat, homebuilt E-LSA. I'll have pix soon. The bird has folding wings a la the F4U Corsair warbird (makes trailering legal) and will be powered by an AeroVee engine. *** Off to the show! Oshkosh has been deluged with a record downpour the last few days, which complicated arrivals because of the soggified grass fields…where most of the planes park and campers do their camping thing. 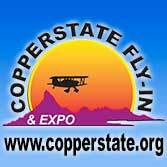 *** Many airplanes were turned away over the weekend but nothing deters the Airventure show, which must go on. *** Several things already buzz, then out to the field for me to discover more and get things rolling (I got here late last night from the wonderful DC-3 Fly-In 4 hours south of here – half of the flying DC-3s in America, 35 total, turned up to be admired by thousands of visitors – a wonderful show.) *** Back to Oshkosh and LSA-centric events: *** <> If two flying cars aren’t enough – the Terrafugia Transition and I-TEC Maverick I’ve reported on in the past- here’s another one: the Caravella. It’s an intriguing work in progress and they’re exhibiting at the show. Call them "flying cars, flying motorcycles, flying dune buggies," or "roadable aircraft." Regardless of the correct term, a growing wave of these car-to-airplane machines are in various stages of development and most will be at AirVenture 2010. One of the newest entries is a kit with the lowest projected price among the group; all others are fully built and carry larger price tags. Check out the Caravellair, a three-wheel motorcycle adaptation portrayed on their website. They are predicting a kit for $50,000 but they need investment to get to finish development and get to market. The better funded Terrafugia effort is leading the sector and recently basked in the warmth of media spotlights after winning a weight exemption from FAA. Their PR success may be boosting the fortunes of the others. We've written about two four-wheelers: Transition — which first flew in March 2010 and is presently undergoing further flight and roadway trials — and Maverick — a cool dune buggie-esque configuration that looks like a hoot to drive on the ground; it is reportedly on the verge of winning SLSA approval and is likely to be the first of these projects to win an airworthiness certificate. Both four wheelers will be at Oshkosh and here's the AirVenture opportunities for the three-wheeler projects. Taking a cue from Boeing, which kept its 747-8 home from the Farnborough show to pursue flight testing, Sampson Motorworks will not show their daring Switchblade as they did the last two years, but developer Sam Bousefield will give a forum on July 27 at 4 PM in Pavilion 08. The company's beautiful website has some great artist concept drawings and gives evidence of their work. Joe Caravella, a father and son team, will conduct a forum on their project Monday July 26 at 10 AM in the 002 GAMA Pavilion. Afterwards, Oshkosh trekkies can pay a visit to the company's exhibit in space 97. Hope we see you in Wisconsin — come by the LSA Mall and say "Hi!" If you can't make Oshkosh, keep checking here for the latest LSA news. Call them “flying cars, flying motorcycles, flying dune buggies,” or “roadable aircraft.” Regardless of the correct term, a growing wave of these car-to-airplane machines are in various stages of development and most will be at AirVenture 2010. One of the newest entries is a kit with the lowest projected price among the group; all others are fully built and carry larger price tags. Check out the Caravellair, a three-wheel motorcycle adaptation portrayed on their website. They are predicting a kit for $50,000 but they need investment to get to finish development and get to market. The better funded Terrafugia effort is leading the sector and recently basked in the warmth of media spotlights after winning a weight exemption from FAA. Their PR success may be boosting the fortunes of the others. We’ve written about two four-wheelers: Transition — which first flew in March 2010 and is presently undergoing further flight and roadway trials — and Maverick — a cool dune buggie-esque configuration that looks like a hoot to drive on the ground; it is reportedly on the verge of winning SLSA approval and is likely to be the first of these projects to win an airworthiness certificate. Gang, with all the excellent publicity the Terrafugia Transition “roadable” LSA airplane has gotten this last year or so, you’d think they were the only game in town. *** Meanwhile, back at flying car HQ, here comes the sleeper, with some important news under its (canvas) hood. 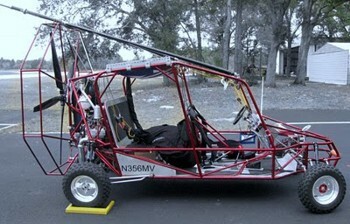 *** I’ve blogged about the Maverick Flying Car a couple times now (read earlier post). *** It’s a project created by I-Tec in their mission to aid third world indigenous people in remote and rugged locales around the world. *** To paraphrase Luke Skywalker, if the Transition is the bright promotional center of the universe, the Maverick has been the planet farthest from it…until now. *** They’ve been quietly, and quite effectively, judging by the video below, getting the job done with their own unique approach to the flying car concept. *** Without further ado, check out the vid below of the Maverick LSA…Para-buggy, Para-Car, Dune-Chute, whatever. 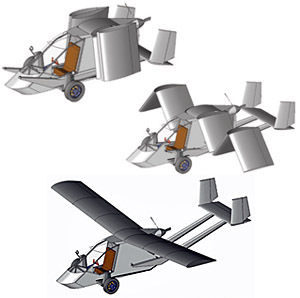 Since everybody seems to be talking these days about flying cars, specifically the Terrafugia (the company excels at promoting its Transition model, which recently got a weight allowance boost from FAA), I thought I’d update my earlier post about the I-TEC Maverick Sport Model. *** It’s a cool idea, this flying car developed for missionary work in third-world countries like the Amazon rainforest, where getting from village to village can be daunting to impossible for traditional vehicles. 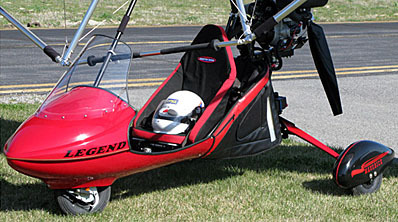 *** Instead of folding wings, it uses a paraglider-style canopy for lift. I-TEC (Indigenous People’s Technology and Education Center) spent seven years in development. I talked with one of the I-TECcies at Sun ‘n Fun 2010 and they’re pretty proud of this compact, relatively inexpensive vehicle. *** Changing from road warrior to sky king takes just a few minutes. Once rigged, the fabric-fuselage Maverick lifts off in 250 feet, climbs at 500 feet per minute, and rips along at just under 40 knots.